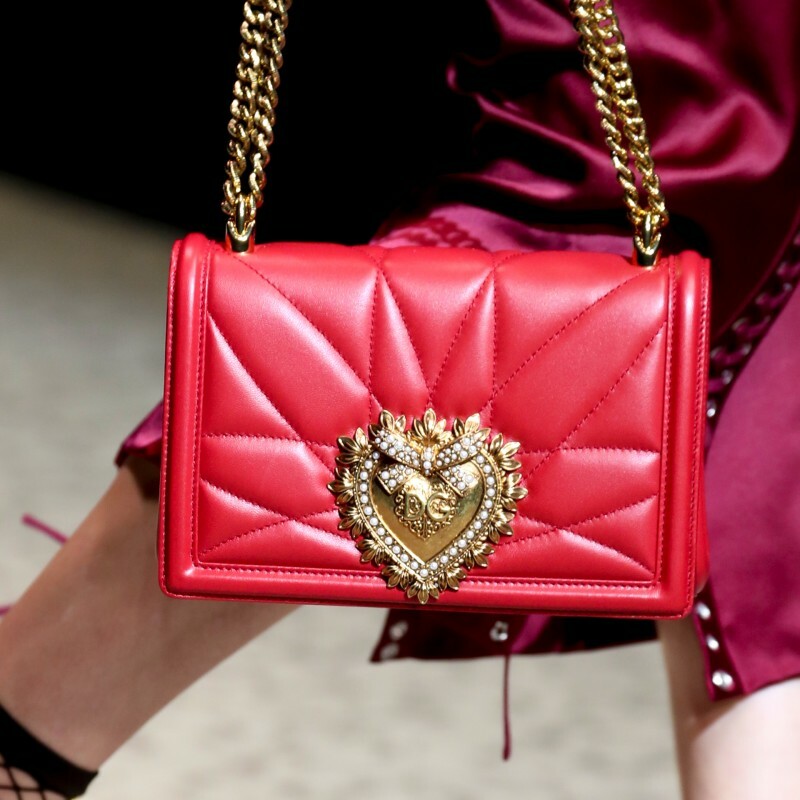 If you remember Dolce & Gabbana’s Autumn Winter ‘18 Fashion Show, entitled “Fashion Devotion” to declare their love for fashion, then you’ve certainly seen this bag. A fashion apparition: I cannot agree more. 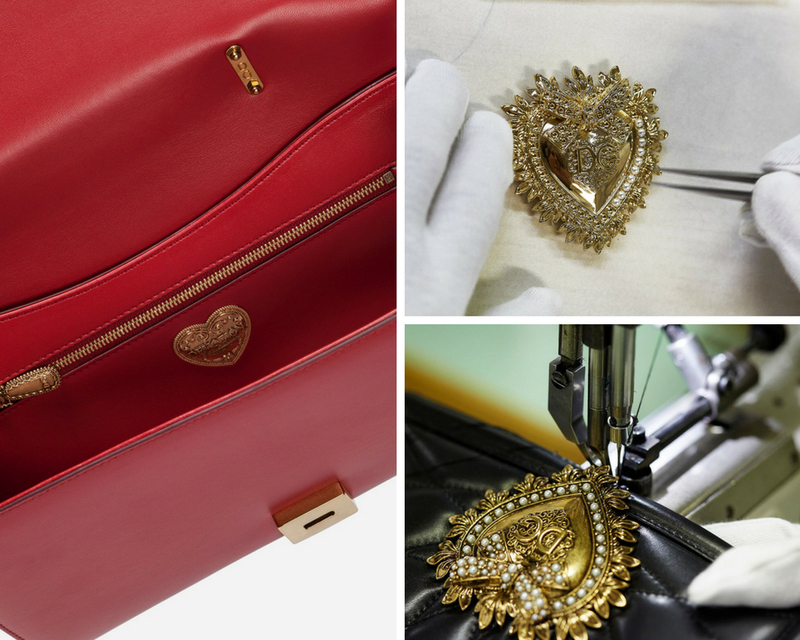 A lovely bag, available in five models and three colours, crafted in nappa leather and closed by a heart-shaped gold jewel. I am talking about the Devotion Bag, of course! The Devotion bag is structured, with a rectangular shape and it is available in three different sizes: mini, medium and large. Three are three eternal colours you can choose from: black, white and red. Moreover, the calfskin leather is presented in two variants: smooth or with an interesting quilted effect, that in my opinion enhances the precious buckle even more. The bag is perfect for many occasions: appropriate and comfortable during daytime but also elegant and precious enough to make an impression at important events. It can be worn on the shoulder or cross body thanks to a beautiful golden chain strap. The larger variant, moreover, also present a top handle in nappa leather that allows you to carry it in your hands or in the crook of your arm, if you like the ladylike way to wear a bag. 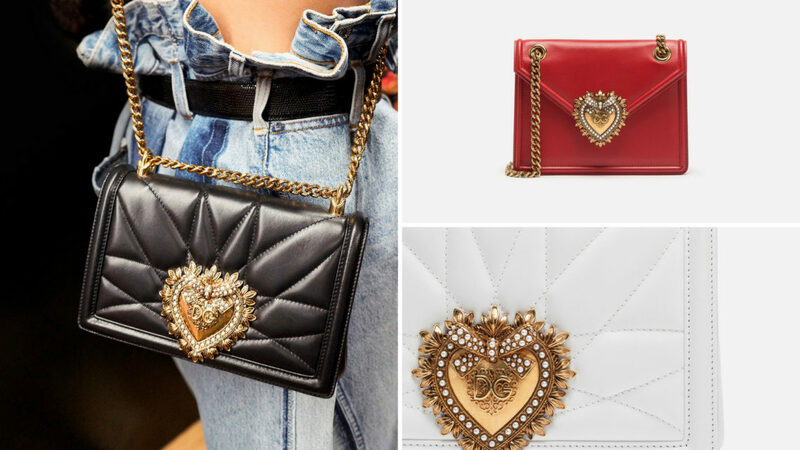 The inside is also made of genuine calfskin leather and embellished by gold metallic details, such as the zipper with the initials DG and a heart with the word “devotion”. 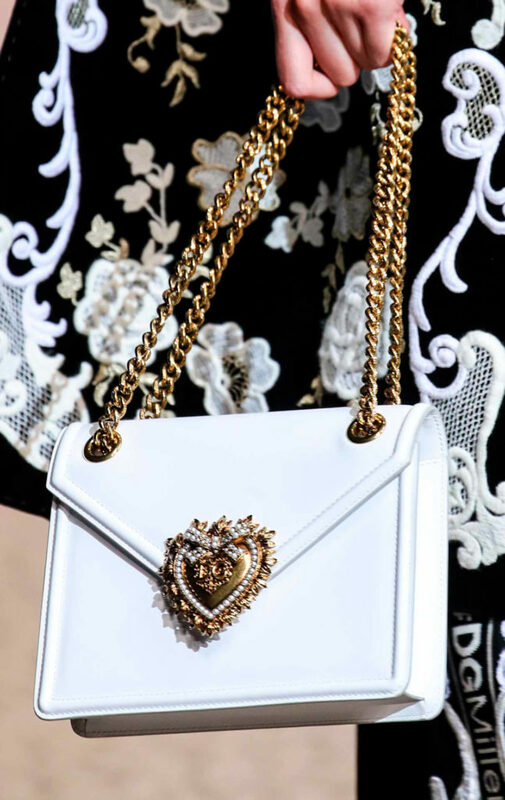 The showpiece is the heart on the frontal flap. Embellished by pearls and by the unfailing DG logo, it is made of micro forged brass and copper and created using the same techniques applied by artisan jewellers. A real statement decoration, eye-catching but not vulgar. However, the heart on the frontal flap is not simply a heart: it represents the sacro cuore, sacred heart, the symbol of Jesus Christ’s heart as the representation of the divine love for humanity. The Christians of the Catholic Church worship it, so here it comes the “Devotion” name. This parallelism does not come with surprise: Dolce & Gabbana fashion house, born in 1985, takes inspiration from everything Italian. The beautiful Italian landscapes, the curvy women, the Italian Casanovas, the pleasure of food, the importance of religion, the family: all this inspires the brand. From the stereotypes to the most important Italian values, Dolce & Gabbana picture all the shades of their country, without ever ending up in the ridiculous or grotesque. This bag is clearly a mixture of modern and tradition: modern lines and technology combined with Christian icons and artisanal techniques. 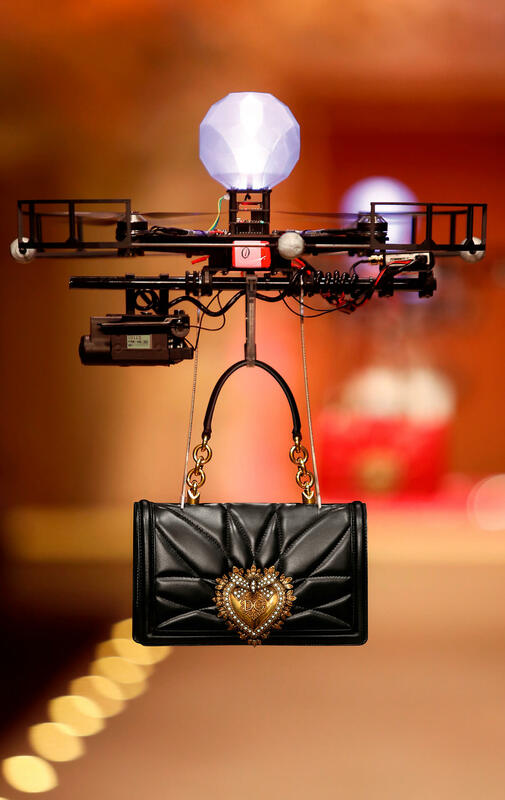 This mixture can however cause some trouble: on Dolce & Gabbana’s Instagram page, it is not rare to read comments about this bag stating that the use of Christian icons is disrespectful. What do I think about it? This creation should not be seen differently from what it actually is: a celebration of love. And there is nothing wrong in that. We really hope that this creation will last forever: elegant but fierce, a celebration of love and of the great Italian know-how, which never disappoints. Once again, Dolce & Gabbana prove to be the ambassadors of Made in Italy, of Italian handcraft traditions and of endless creativity. Chapeau! All pictures are from Dolce&Gabbana website. the bag so elegant, hopefully i can buy it..
Hey there, You’ve done an excellent job. I’ll certainly digg it and in my view recommend to my friends. I am confident they’ll be benefited from this website.